The veteran poet and musician makes a return to recording with this collaboration with XL Records' boss, Richard Russell, scoring comparisons to Johnny Cash's defining Rick Rubin-produced American Recordings period. This has already garnered considerable hype in certain quarters, with The Guardian indulging in some unnecessary hysteria and declaring it one of the best records of the next decade. 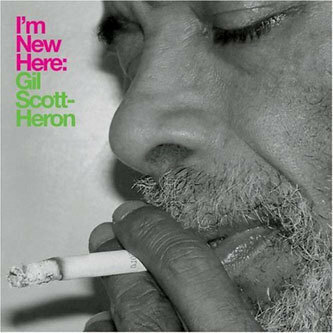 If title track, 'I'm New Here' sounds remarkably like a Bill Callahan-style alt. country opus, that's because it is indeed a cover of a Smog track, lifted from 2005's A River Ain't Too Much To Love. It turns out to be one of the record's highlights, and sits amongst a number of covers strewn across the record, including takes on Robert Johnson's 'Me And The Devil' and Bobby Bland's 'I'll Take Care Of You' - these sorts of selections only further the American Recordings comparisons, particularly in terms of how fluidly the re-interpreter seems to be able to slip into the original author's shoes. Russell's production is to be highly commended too. He respectfully frames the gnarled voice of experience at the heart of the record whilst conjuring an often boldly contemporary soundscape, colliding different timelines on 'New York Is Killing Me' by mixing overdriven, sub-woofer-troubling bass drums with Delta-blues classicism and gospel handclaps. Very good indeed.